Icynene is a spray foam insulation and air barrier system for home and commercial use. 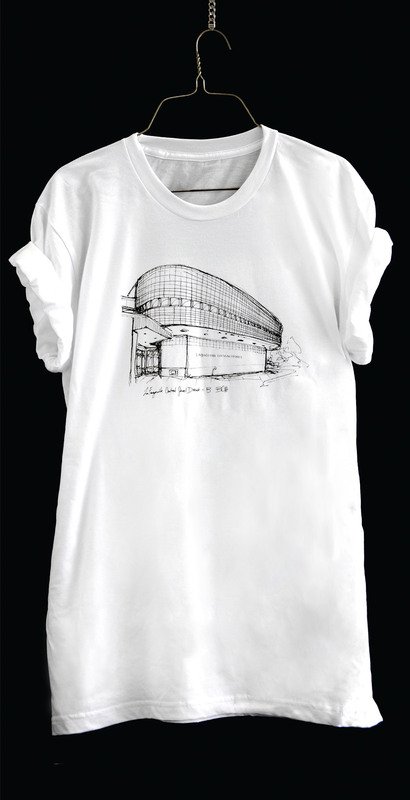 The task was to secure top-of-mind for Icynene with architects in the US, when sourcing materials. 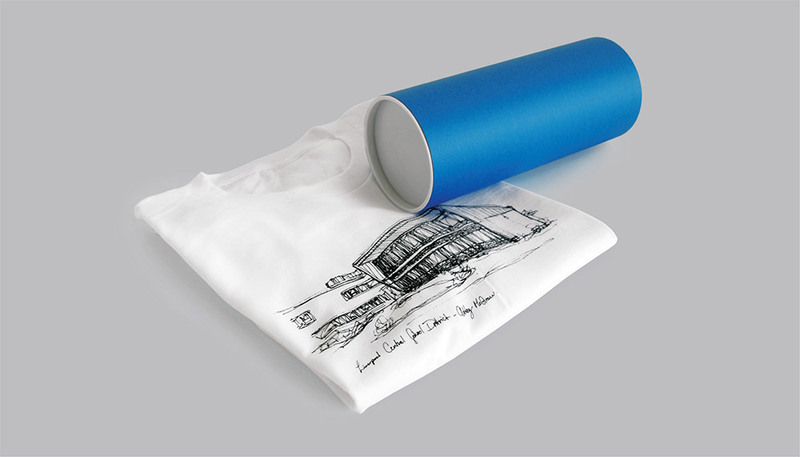 We sent out tubes that had t-shirts personalized with an illustration of a commercial building that was actually designed by the architect. 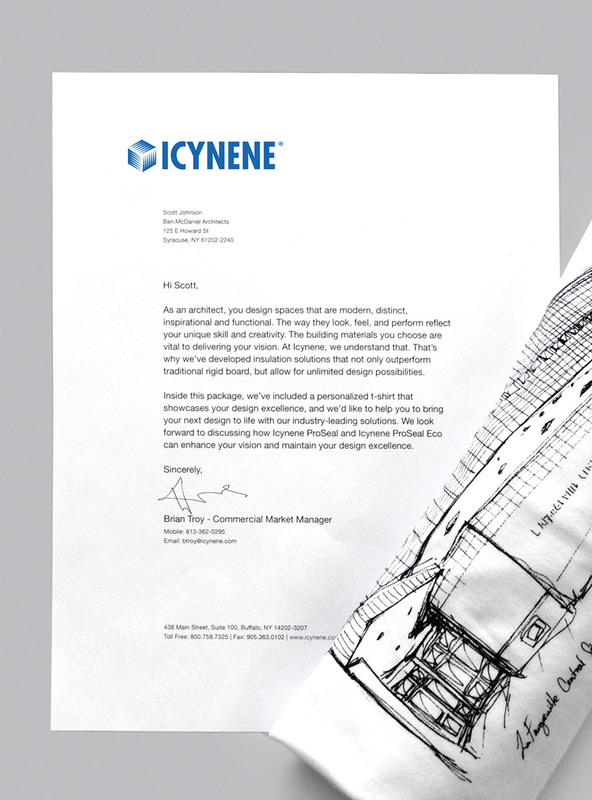 And, we included a letter that shares Icynene develops insulation solutions that not only outperform traditional rigid board, but allow for unlimited architectural design possibilities. 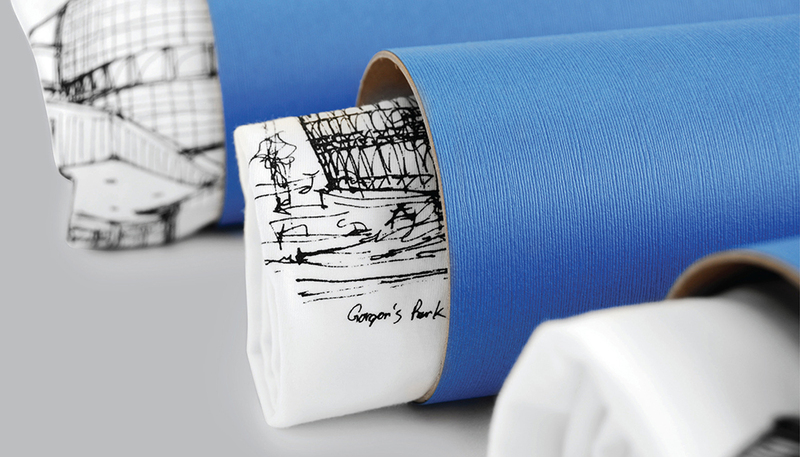 It’s the Marie Kondo Effect: Does Your Marketing Spark Joy? If Not, Here’s What You Can Do. © Clever Samurai 2019. 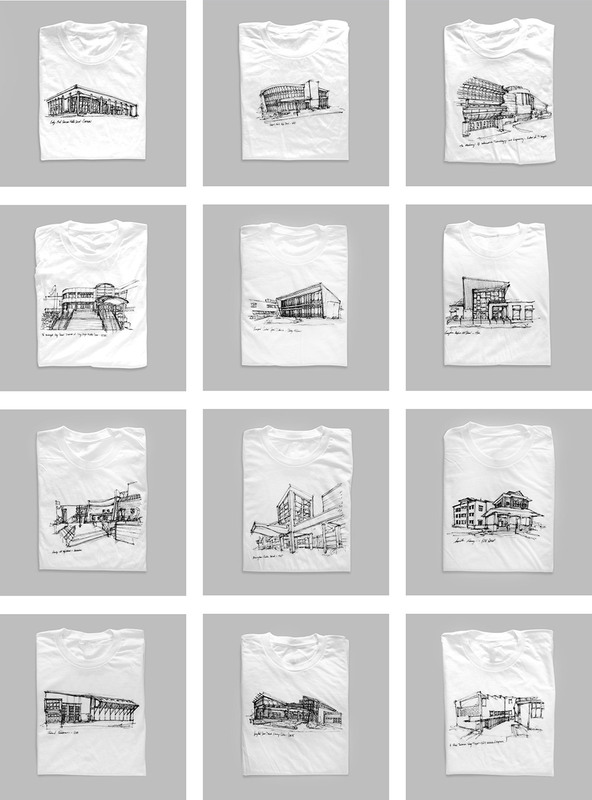 Clever Samurai™, Clever Samurai graphics, logos, designs and case studies are the trademarks and copyright of Clever Samurai, a 5th business® company.